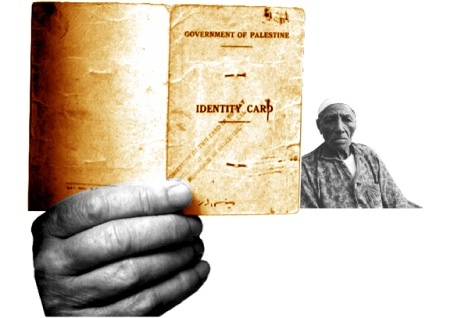 One of the most intractable issues in the Israel/Palestine conflict has been the fate of Palestinian refugees who with the creation of Israel in 1948, or the “Nakba” (catastrophe in Arabic) were scattered throughout the Mideast. Filmmaker David Ridgen tackles the issues on location in Israel and Lebanon where he visits refugee camps and the former homes of refugees. We view the controversy through the eyes of a diverse and divergent cast of characters including a group of young, articulate refugees who stage a play created for the film near the Lebanese border with Israel, a manic, bluntly funny Palestinian cab driver, a fine arts student from Jerusalem traveling along the Lebanon border, a respected Israeli journalist (Amira Hass), a Palestinian living in Israel, a former IRGUN gang member, former Prime Minister Shimon Peres and former Palestinian spokesperson Hanan Ashrawi. Also features interviews with Noam Chomsky, Norman Finkelstein, and so-called new historians Benni Morris, and Ilan Pappe.